The ORFISH project aims at providing a platform for exchange of knowledge on low-impact offshore fishing techniques among fishers from the outermost regions with a view to developing and optimizing these techniques and with the principal objective of alleviating fishing pressure on coastal fish resources . One of the key goals was to compare the fisheries governance systems in the different outermost regions in the context of the Common Fishery Policy (CFP). By fisheries governance systems, we mean the different institutions and the collective action processes by which decision making in fisheries management is established and the different set of laws, rules set for the regulation of the fishing activities. 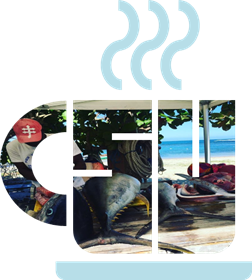 The CFP is often seen as a top-down process and the aim was to identify and compare the role of fisher organizations and regional administration in the management of fisheries resources. Another objective was also to identify good practices (but also drawbacks of current regulations) with particular emphasis on whether or not these models could be used as examples in other ORs, in order to ensure long-term sustainable fisheries contributing to the CFP objectives. That is why, a complementary objective was to provide a detailed analysis of the regulations which apply in each ORs to identify the origin (EU, national, regional, local) of the different measures, their objectives (fisheries regulation, ecosystem and biodiversity conservation, …) and the characteristics of the regulations in terms of scope (conservation measures, access regulation measures including conflict regulation between fishing activities).